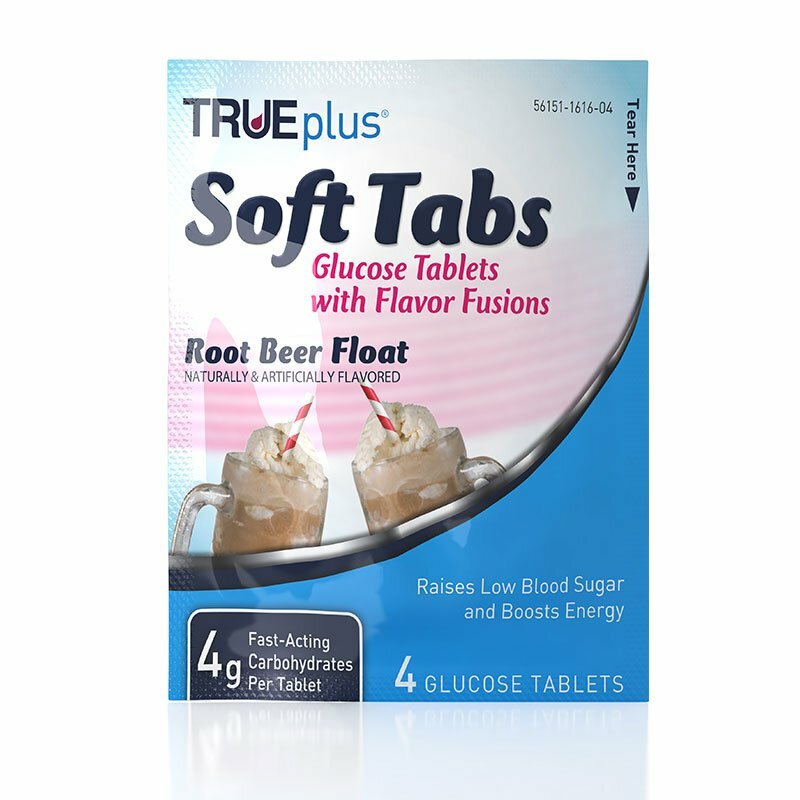 TRUEplus Glucose Tabs Flavor Fusions Root Beer Float 4ct - Case of 12 is another quality glucose option from Trividia Health aimed towards quickly aiding someone suffering from hyperglycemia. This product is a case of 12 Root Beer Soft Tabs. The TRUEplus Soft Tabs, Glucose Tablets with Flavor Fusion features 4 grams of fast-acting carbohydrate formula that helps raise low blood sugars and boosts energy. These tablets come in convenient packages to fit individual needs. You get 12 packs of 4ct TRUEplus Glucose Tablets Flavor Fusions - Root Beer Float. Directions: Chew desired amount of glucose. Store at room temperature. Do Not refrigerate or freeze. Do Not expose to excessive heat or moisture. Ingredients: Dextrose (D-Glucose), Resistant Maltodextrin, Magnesium Stearate, Natural Root Beer Flavor, Natural & Artificial Vanilla Flavor. Please refer to product packaging for the most up-to-date information.